Nintendo's in the money as it announces that it has turned a profit over the last year - but its future is far from certain as it cuts its expectations for the Wii U and 3DS. In fact, the original Wii console is still selling more units than its successor, with the older machine selling 3.53 million units since November and the Wii U shifting 3.06 million. Still, for Nintendo to be making money is reassuring as this time last year it was a different story: the Wii was ageing, the Wii U was months away and the 3DS was not selling as well as the company had expected. Nintendo sheepishly announced its first ever loss and the doomsayers had a field day predicting apocalyptic things for the Mario-maker. But today the company announced that it made a net profit of Y14.5bn (around £101m, $159m, AU$152m) in the first nine months of the current financial year, compared to a loss of Y48bn (£333m, $526m, AU$504m) this time last year. So the coffers are looking fat(ish) but Nintendo's not splashing out on Veuve Cliquot and Rolexes just yet - it has decided to cut its forecasts for the Wii U and Nintendo 3DS in the coming months. "While Nintendo saw year-on-year increases in the sales of Nintendo 3DS hardware (up 11 per cent year-on-year) and software (up 41 per cent year-on-year), those gains were not enough to offset decreased sales of Wii and Nintendo DS hardware and software," it explained in a statement. 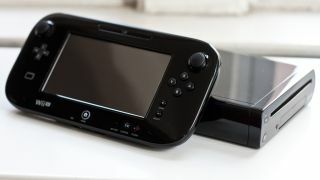 As such, Nintendo has said that it only expects to have sold 4 million Wii U consoles by the end of March 2013, as opposed to its original estimation of 5.5 million - it has sold around 3.06 million to date.